Increase your yield with the most advanced A.I. in semiconductor metrology. 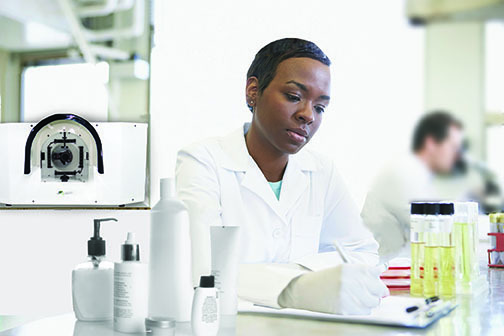 BTBP's system detects and quantifies process defects. Wafer metrology is the key to process control and yield enhancement. Load & scan the wafer. 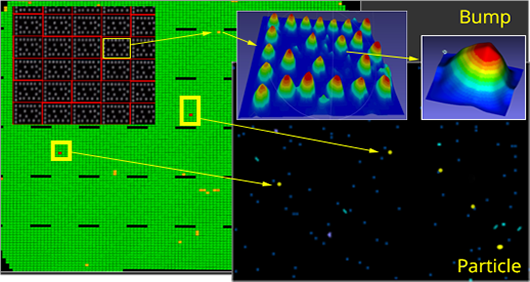 Capture the full wafer for 2D and 3D analysis. Recipe setup and binning capability. 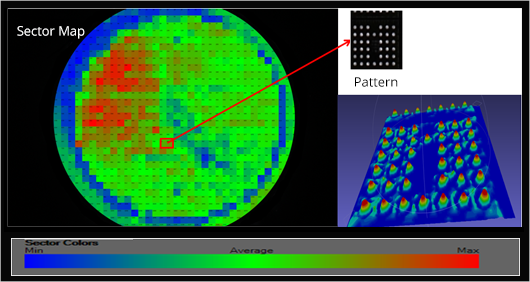 Classify wafer defects and generate highest resolution 3D models for quantitative measurements. 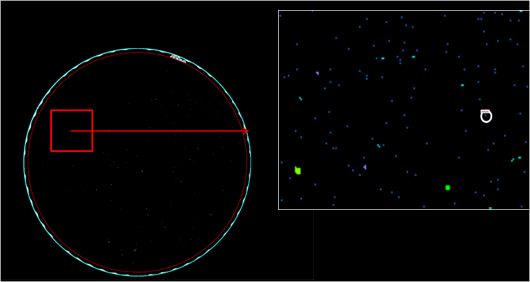 Detect & display defects like particles, scratches, missing patterns & bumps. Identifying X, Y location(relative to notch), minimum height, maximum height, average height and diameter of the bump on a wafer. 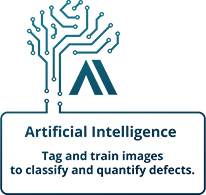 Information is saved in the industry standard KLARF format. Missing bumps can be identified. High quality imaging providing a greater detail of intensities for detecting even floor variations & height of bumps more accurately. Features capable of detecting the presence of particles, residues, damaged wafers , wafer edges, hard & soft defects with their locations, count and size with high binning accuracy. 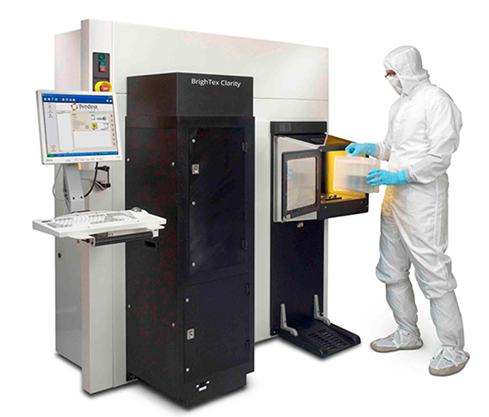 32 Bit High Dynamic Range Process of Scanning: Provides a wide range of intensity's for detecting sub micron particles (0.25 microns) to very large particles (many millimeters) with a single scan for front and back of the wafer. Automatic classification of defects though our computer algorithm process of deep learning(A.I).